The US price of the Sigma 16mm f/1.4 DC DN Contemporary lens price is now officially announced: $449. Pre-orders are now open at B&H and Adorama. The lens is available for both Sony E and MFT mounts. Shipping will start on November 22nd. Sample photos from the lens can be found here and here. 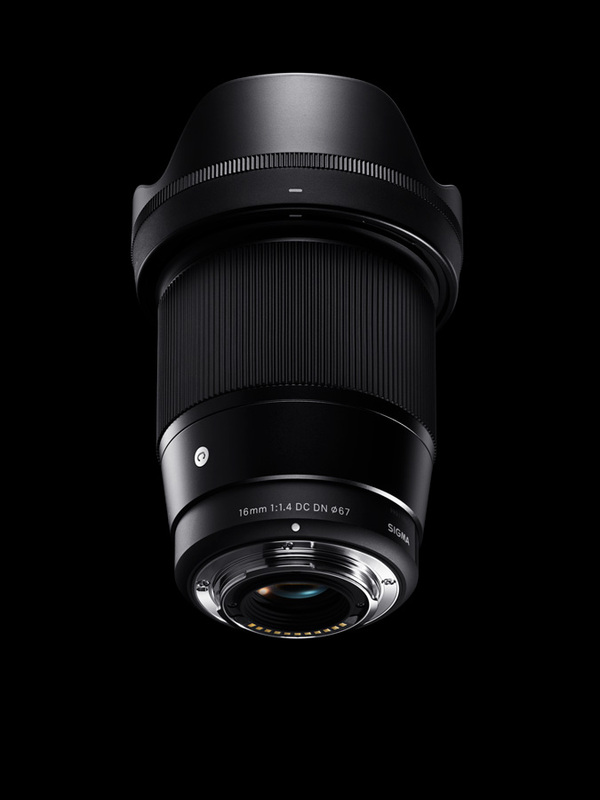 Ronkonkoma, NY – November 9, 2017 – Sigma Corporation of America, a leading still photo and cinema lens, camera, flash and accessory manufacturer, today announced that its brand new Global Vision 16mm F1.4 DC DN Contemporary lens for APS-C mirrorless Sony E-mount and Micro Four Thirds camera systems will be available at the end of Novem-ber for $449.00 USD through authorized US retailers. The fast aperture, wide-angle 16mm prime lens is the first lens offered for Sony E-mount systems to feature a 24mm F1.4 focal length (35mm equivalent) and aperture. On Micro Four Thirds systems, it offers a 32mm focal length. Lightweight and compact, the 16mm F1.4 is equipped with a stepping motor designed for fast, ultra-smooth, and accurate autofo-cus performance for both still and video capture. Key features include a dust- and splash-proof mount, nine rounded aperture blades, advanced lens coatings to minimize flare and ghosting, and a reversible and removable petal-type hood. This entry was posted in Sigma and tagged Sigma 16mm f/1.4 DC DN Contemporary lens. Bookmark the permalink. Trackbacks are closed, but you can post a comment.